I have consolidated all my activity onto my website, so come on over to continue to enjoy my blogs - old and new - plus keep a track of what I've been up to! May fear protect you til the darkness comes. 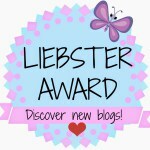 Scary Ramblings wins The Liebster Award! Follow me by Email and Spread the Word! !